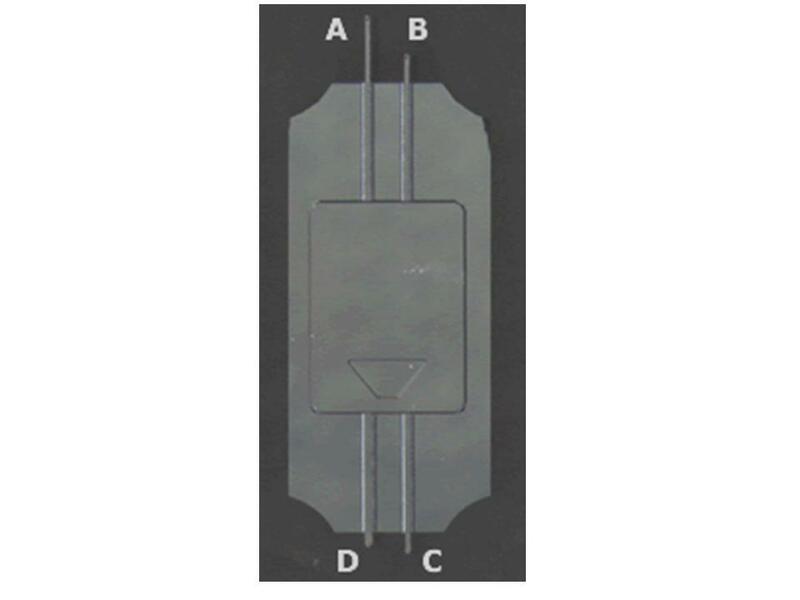 CNT probes from us include two series: high resolution and high aspect ratio applications. 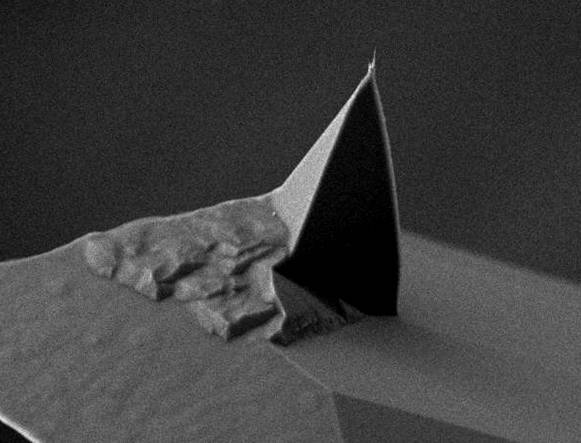 A carbon nanotube/nanocone of 2 nm radius of curvature right at the apex of regular silicon probe, either tapping or contact mode. Probe with perfect alignment,orientation of CNT is better than ±5º. 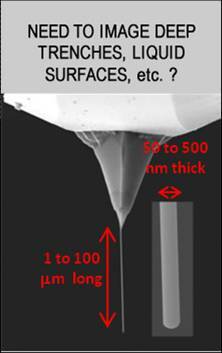 Tightly controlled CNT length, 0.6µm±200nm, 1.5µm±200nm, 5µm±500nm. 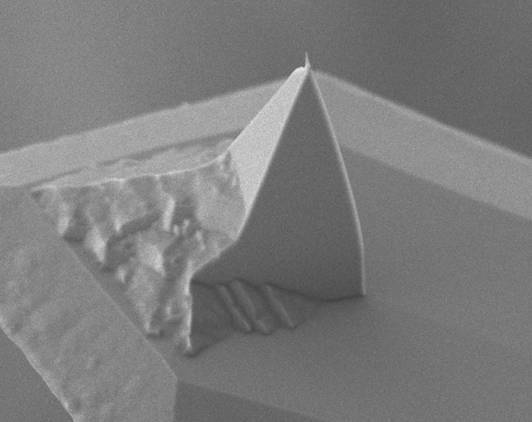 Very high resolution (2nm ROC versus 10nm ROC of regular probe). Long lifetime (Months versus hours of regular probe). CNT probes are in stock and ready to ship with highly competitive price. Highly wear resistance for extremely long lifetime, high consistance. One holder，four tips with various force contant. Both the tip and cantilever are in a single monolithic structure. These are not diamond-coated probes; the cantilever and probe tip are entirely made of diamond and demonstrate the astonishing control and precision that is available with diamond today.